Escape to the sunny Lugano hillside, with this 3-bedroom home just 12 minutes’ drive from the city centre! Inside, the 2-storey home is fully WiFi-enabled. A wonderful open plan Living space with stylish dining area provides a timeless as well as scenic year-round ambience; with direct balcony access and a fireplace accompanied by a SAT TV, music stereo and a classic book-games library. Next to the Living room, guests will find a fully-functioning family Kitchen Diner with access to the same furnished balcony, and equipped with a microwave, oven, Nespresso coffee machine, dishwasher and fridge freezer. The family-friendly accommodation continues to the holiday home’s 3 bedrooms. Two light and airy Double bedrooms both offer balcony access, whilst the third bedroom offers 2 separate Single beds. A retro-fitted modern family bathroom suite with bath tub and shower features alongside a 2nd full shower room. Outside, a lovely covered private terrace sets the scene for carefree summertime entertaining. An alfresco dining area with BBQ are provided, alongside a set of sun loungers. A private parking space provides added convenience. Key Features: • Flexible family-friendly townhouse • Private terrace • Alfresco dining set + BBQ • Private parking space • Quiet hillside location just 12 minutes’ drive from central Lugano Sleeping: Bedroom 1: A spacious Double bedroom with balcony access & wardrobe Bedroom 2: A lovely Double bedroom with balcony access & wardrobe Bedroom 3: A flexible guest room with 2 Single beds & wardrobe Bathrooms: Bathroom 1: A family bathroom fitted with a bath tub, shower, wash basin, WC & bidet Bathroom 2: A modern fitted shower room with wash basin & WC Additional: • Central heating • Fireplace • Washing machine • Hairdryer • Music stereo provided • Awning to private balcony • Set of 3 sun loungers provided • 16 external steps • 45 internal steps Location: Situated along ‘Via Carona’ in Pazzallo, the scenic hillside road offers proximity to a local winery, a neighbourhood restaurant and bus stop. 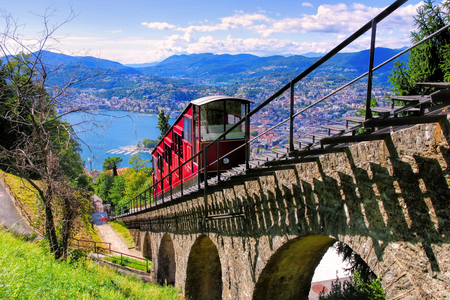 The quiet location leads in no time to central Lugano, just 12 minutes’ drive away. Along the way, the authentic restaurants, lounge bars, funicular, a ferry stop and a lakeside lido of Paradiso can be enjoyed. 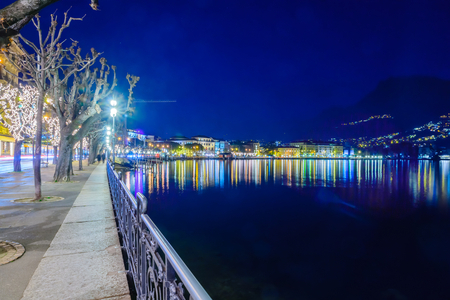 The fashionable lake city of Lugano is a popular destination for leisure and business stays. Alongside the top Swiss companies and international schools, guests will find a super Tennis Club, a modern city Lido and designer shops, restaurants, casinos and a buzzing nightlife. 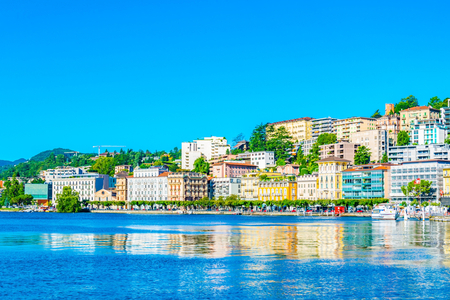 The city is also home to some truly timeless tourist sites too, including the picturesque lakeside Parco Civico, the Museo d’Arte and the breath taking nearby hiking trails of Monte Bre, the Olive Trail and Monte San Salvatore. 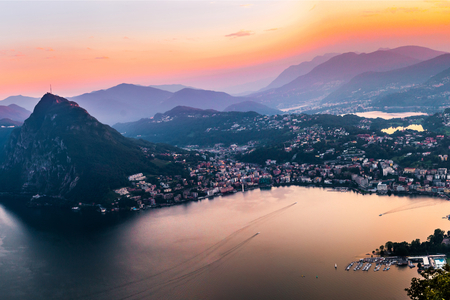 Lugano’s popular Golf Club is also close by, whilst Lugano Airport is only 12 minutes’ drive away. The surrounding region is popular for year-round getaways, and for moments hiking, cycling, outlet shopping, water sports, power boat hire, kayak rental, Aqua theme park days, luxury spa treatments and extreme outdoor sports. Lake Como is reachable by car in 38 minutes. The additional service charge is CHF 190. We offer a range of extra facilities, which are available for hire through our office 'Happy Holiday Homes' in Lugano: Cot Hire - CHF 20 per stay, High Chair - CHF 15 per stay, Push Chair - CHF 25 per stay, Camp Bed – CHF 85 per stay, Wi-Fi or Mobile Internet Stick - CHF 35 per stay. Please note that signal and connectivity is not guaranteed and may depend on the strength of the signal in your rental property.